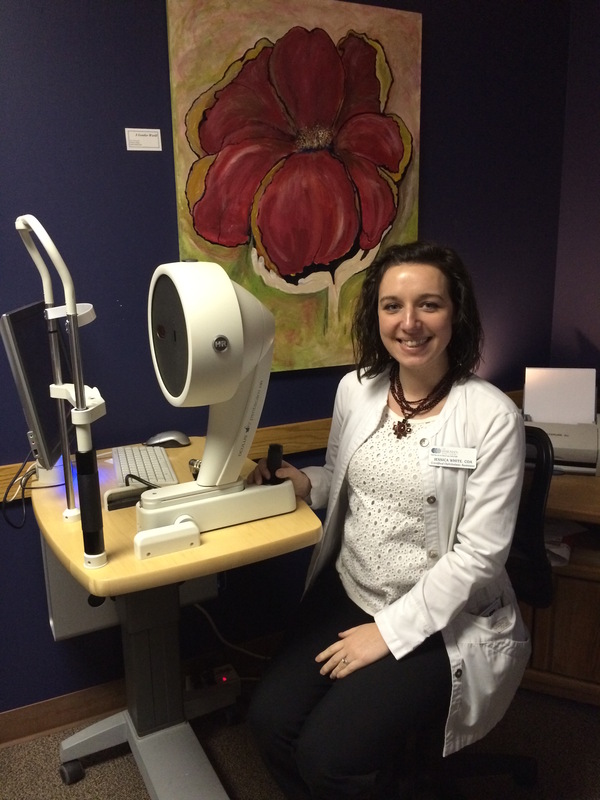 Jessica White, COA, is the technician supervisor at The Harman Eye Clinic. She has successfully completed the COT exam and is awaiting instructions for completing this level. 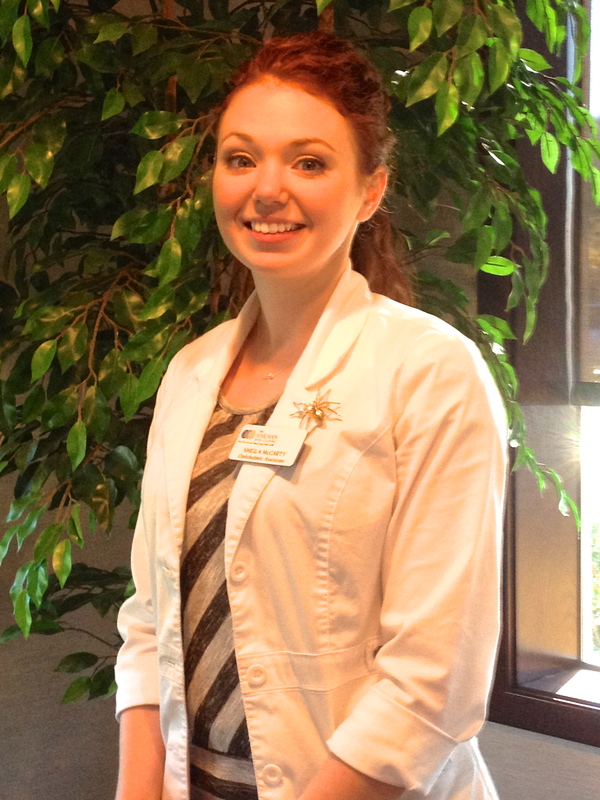 Jessica took the time to share her passion for gentle service. I began working at The Harman Eye Clinic when I was 20 years old. I had never worked in a medical practice before, and to be honest, I didn’t even know what a cataract was. I suppose I felt a little bit overwhelmed once I realized the amount of information I was expected to learn, but the emotion I remember feeling most was amazement. I had been an avid watcher of “ER” and “Grey’s Anatomy,” and so my view of medical staff was that they barked orders at each other, gossiped, and called patients by their medical condition. Looking back on those misconceptions, it’s a wonder I even agreed to take the job! The reality that I saw at The Harman Eye Clinic was that people respected others. I shadowed a patient through cataract surgery on my first day of work, and the patient and I both were treated with extraordinary kindness. While the patient was being cared for by the nurse, the surgery coordinators were taking care of me. They told me what to expect and where to stand. They even taught me a few key medical terms while we waited. 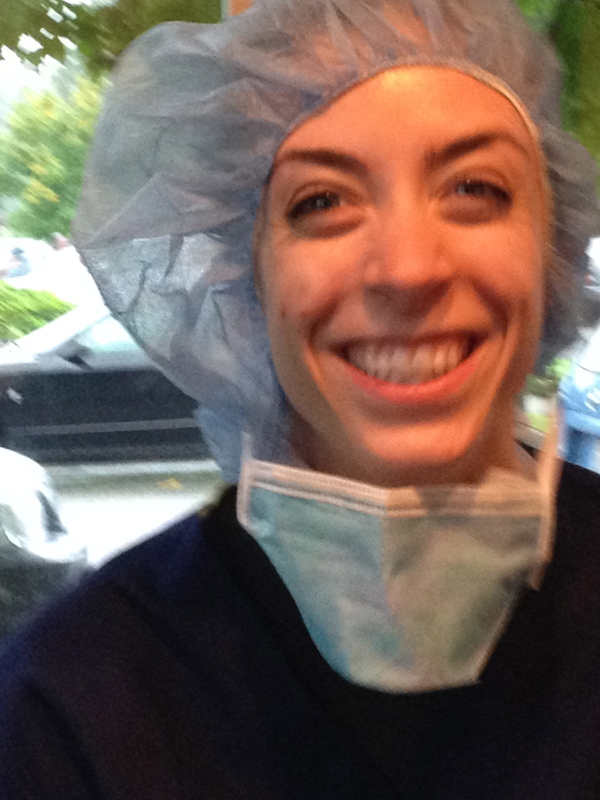 From my first hour at The Harman Eye Clinic, my co-workers were doing everything they could to set me up for success. Later that day, I observed exams in clinic. Again, I immediately felt welcomed by the staff and saw that patients were feeling the same way. I had never felt so much warmth in a medical office, especially from the staff! My journey to becoming an experienced technician was a long one, but I was never alone. There were always people making themselves available to answer my questions and teach me something new. Looking back now I see that I was very much like a patient when I began my training. I had so many fears and doubts, and there was so much information presented to me at once! It was overwhelming at times, but my co-workers worked hard to help me. Their encouragement gave me the confidence I needed to continue. Time after time I see our staff investing in our patients like they invested in me when I first came here. They look beyond the data and see who the patient is and what they need in order to feel secure. I am so proud to be a part of this place, but that isn’t really because of the medical side of things. Yes, what our surgeons do is incredible and I love seeing patients regain their independence by having cataract surgery or iLASIK. But, the best part is knowing that the way we treated those patients made a difference in their experience. Too often, the mood in a medical office matches the surfaces: It is sterile. The problem with sterility is that nothing can grow in that environment. The beauty of The Harman Eye Clinic is that we are constantly growing and changing to meet our patients needs in a better fashion. Our surgeons and staff understand that when our patients trust us with their vision, they are really trusting us with their livelihood, their quality of life, and their independence. That trust deserves a great deal of respect and care, and it needs to be on a personal level. We strive to make connections with our patients because we know that it is important to treat the person, not the condition. …At The Harman Eye Clinic, we do not only have skills, we have heart! 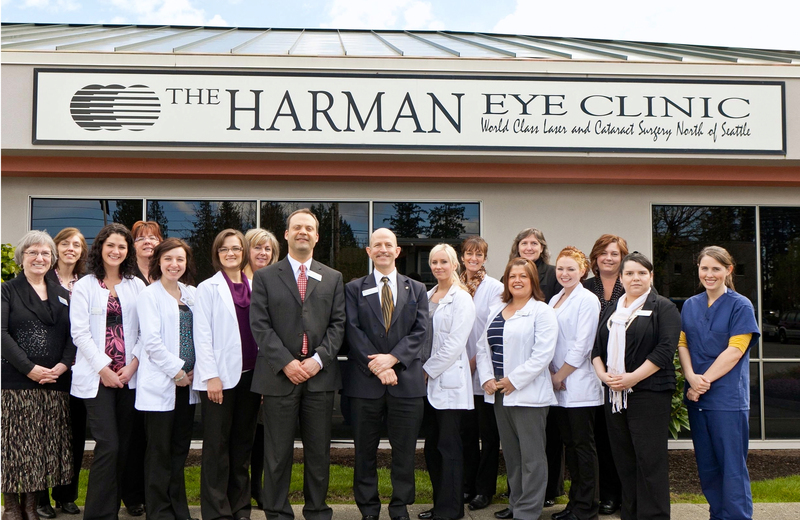 For over 29 years, The Harman Eye Clinic has sought out candidates who possessed an uncanny aptitude for service. These candidates are then trained in specific medical fields. Sheila McCarty came to The Harman Eye Clinic from food service. She was smart, alert, able to assess situations and best of all, loved being around people. Sheila took full advantage of JCAPHO’s Home Study Course and as she trained as an ophthalmic assistant, she was authorized to perform these duties. Last Friday, in passing her exam, Sheila became a Certified Ophthalmic Assistant as authorized by JCAPHO. She is also registered as a medical assistant. “We have great opportunities to grow as individuals,” shared Shiela as she posed for her congratulatory picture. Our staff’s medical and technical growth directly affects the level of care our patients receive. Our staff excel in skill and technology, but most important, they excel in compassion, humor and service. Sheila is a perfect example of these traits. Recently Sheila has undergone LASIK and enjoys sharing her experience with patients who wish to know what it is really like to have LASIK. Congratulations, Sheila! We are so proud of you! You may have felt the lively, enthused energy rising from the city of Arlington. We have been celebrating the well-deserved retirement of Dr. Lee Harman who has turned over the reigns to Dr. Bruce Ballon. 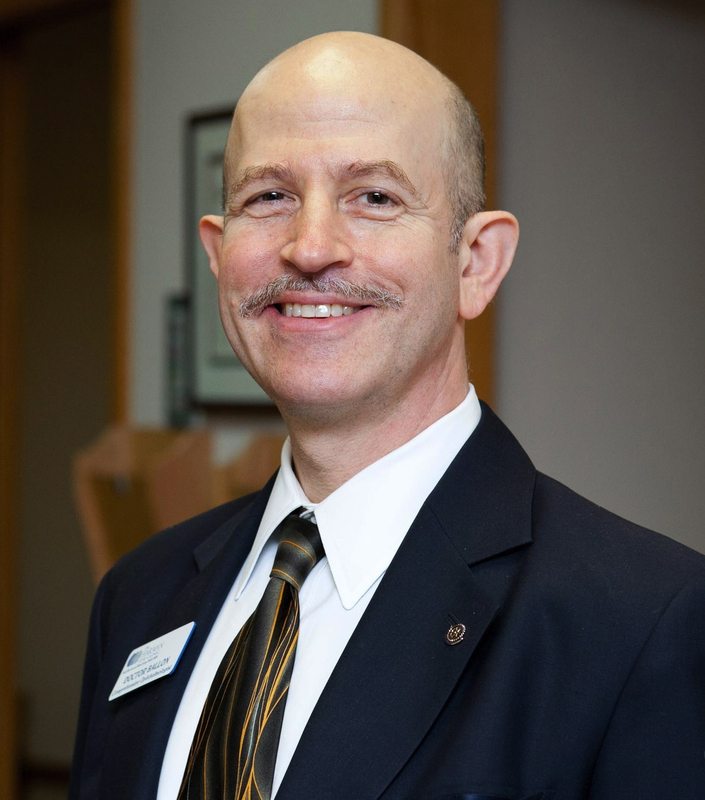 now President/CEO of The Harman Eye Clinic, and Dr. Bruce Wietharn, now Vice President. Our website, www.20Better.com, now has a patient portal. Patients can register directly from our website and request their appointment. And, each Referring Doctor can have a portion of the “cloud” on our server to safely exchange pre- and post-operative patient information. A quick phone call to our office and we’ll set it up for you. Let us know if there are any other ways we can better serve you. We appreciate the trust you place in our surgeons and staff.